5855 place | Vector illustration in rank M-rank: Christmas lights. Colorful Xmas garland. Vector red, yellow, blue and green glow light bulbs on wire strings isolated. Christmas lights. Colorful Xmas garland. 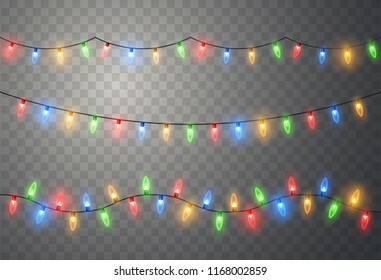 Vector red, yellow, blue and green glow light bulbs on wire strings isolated.